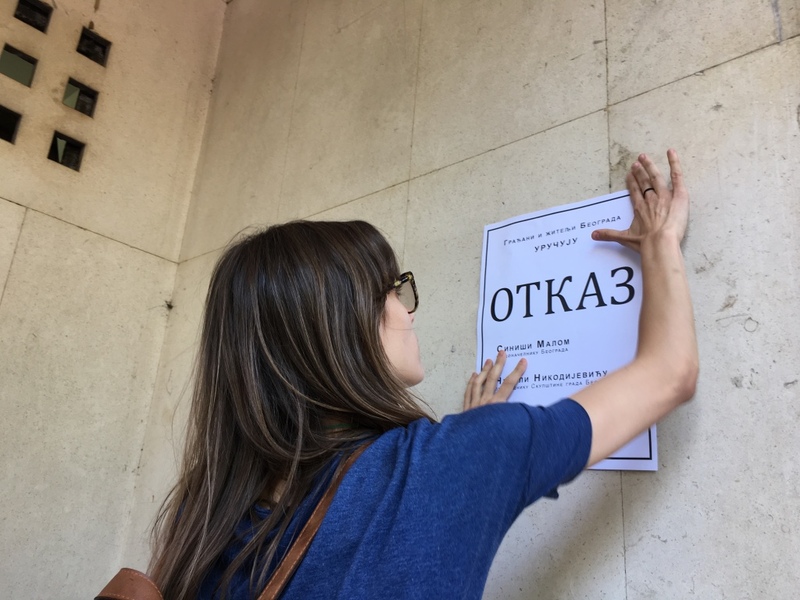 During a two-week visit to Belgrade, we had an opportunity to meet and work with people from the exciting initiative “Ne da(vi)mo Beograd” (“Don’t Let Belgrade D(r)own”). 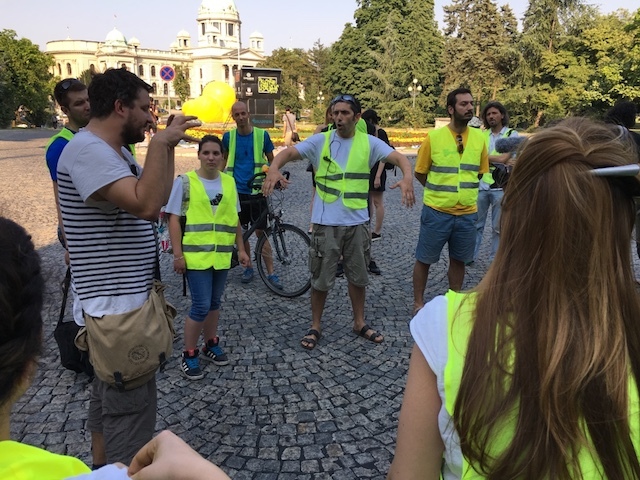 This initiative celebrates its first two years in which they mobilized a great number of people against privatisation of public space, corruption, illegal acts and dubious procedures connected with a multi-million project named Belgrade Waterfront. The initiative has gathered a diverse coalition of nonprofits, activists, creatives and people desiring to put a stop to cronyism and corruption. 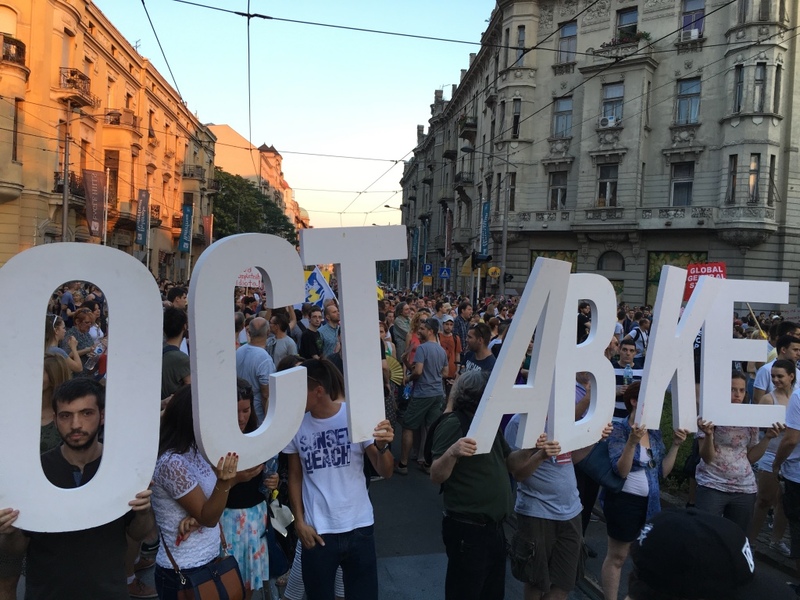 What is most striking about the initiative is that it has outgrown its primary goal of stopping one development project and has become an outstanding vocal opponent against the corruption in Serbia. Media, politicians and ordinary people often present it as a rare alternative to the way that the system currently operates. This has produced massive support on the one hand and a massive backlash of people who do not shy from playing dirty games. 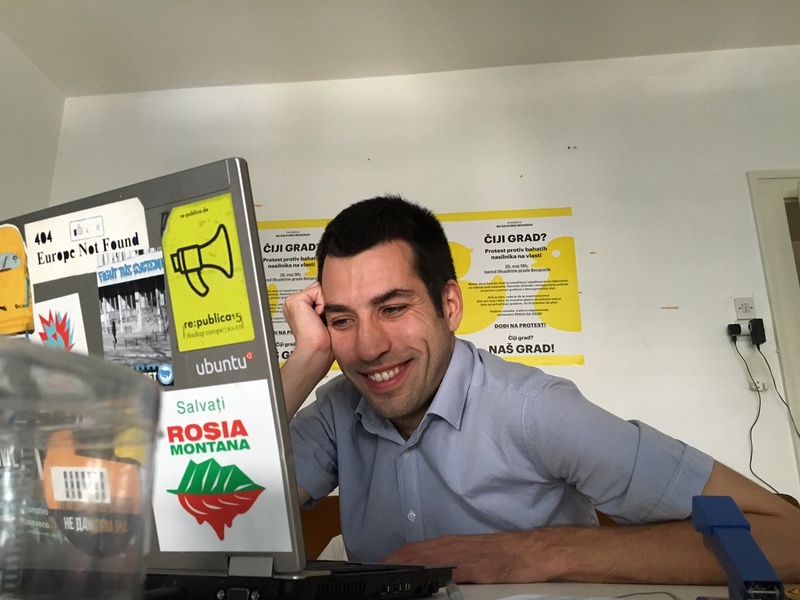 For example, a fake political party with connections to the ruling party has been recently formed using symbolism and the language of the initiative. This interview took place in the small but vibrant office of the initiative. 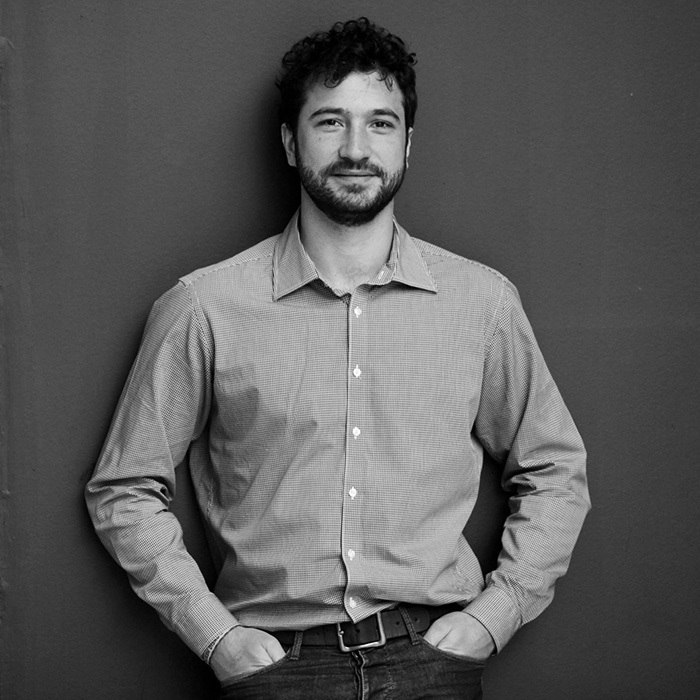 Ksenija Radovanović, Marko Aksentijević and Dobrica Veselinović, the people who are at the very core of the initiative have all contributed to the conversation. Could you describe your initiative in a few sentences? We are a group of people who think citizens are to be asked about what their cities are going to look like and are willing to spend some time today to make sure to be proud of it tomorrow. You organized protests with some of them, attracting a crowd of more than 20,000 people which is almost without a precedent in recent Serbian history. What are the biggest challenges when organizing a mass protest? Actually, we never expected the crowd to be this big, so all the way it involved lots of small scale improvisation. First bigger issue was that of our sound system not being strong enough for the crowd of 5.000 that came to the first protest and making people complain about not being able to hear the speeches. We organized a better sound system for the second one and we thought everything was ok, but this time more than 10.000 people showed up, so once again we got people complaining it wasn’t good enough. After that, we organized a mini campaign, inside a bigger one where we asked people to donate money for the the protest as a whole, that was specially pointed at raising money for more serious sound equipment. It was an obvious problem and people were happy to engage. The problem was solved. How many people are involved in the coordination of the movement and how do you manage the organization? About 20 to 25 people are involved in the coordination of our actions, depending on the task. In this last period, many people offered and invested their time, energy and skills- without them it wouldn’t be possible to organize these mass protests. Our next big challenge is to create a structure that can allow for all people willing, to engage more actively in our future activities. You had a diverse range of creative activities in the past. Could you describe a process of making them happen? Imagine having 10 different Facebook chats 24/7 with tens of different, energized people who are full of ideas. If we weren’t that into the whole thing, it would be a nightmare, but we enjoy all the crazy brainstorming that happens on chats groups as well as during our regular and emergency meetings. It is important for every single action to divide all the tasks realistically and to be aware, on a personal level, of one’s responsibilities and their fulfillment. Through that, not only do you make things happen, but you also build trust which is a basic element of any movement. What were the most effective actions? It depends what do you mean by effective actions. Filling the streets of Belgrade with more than 20.000 people asking for the officials to take the responsibility for their criminal actions can be considered a failure because they are (still) actively ignoring us, but on the other hand the energy that one could feel during the protest, the energy of people waking from the apathy and taking back the sense that things can actually change if we stand together is something that warms our hearts and we see it as a huge collective win. We had some much smaller actions that had a huge media impact but were more serious in their cause (like throwing watermelons in front of the Communal police headquarters following the death of a watermelon seller) or were just pure fun (like taking part in the Belgrade Boat Carnival when the police removed us from the festival because our boat was decorated with our symbol - a big yellow duck). The most “regular” actions, like filing complaints as a response to the changes in official urban plans of Belgrade, didn’t have a big media coverage. On the other hand, we consider actions like these an important tool for bringing all the problems of the official citizens participation process out in the open, something from which the responsible institutions can also learn a lot as well as the citizens themselves. Could you share some advice to people trying to create a movement in the region? How do you attract people to join the movement? Our reliance on social media is big but neccessary, since traditional media is largely ignoring us. We use Facebook to share information about the Belgrade Waterfront project, about our actions and to call people to help and engage in our activities. Every once in awhile we hold open meetings with everyone interested. On the other hand, we are actively approaching potential allies. It is a very dynamic process and not the easiest one, but we are doing our best to stay as open as possible. You describe that mainstream media is largely ignoring you. How are you dealing with it? 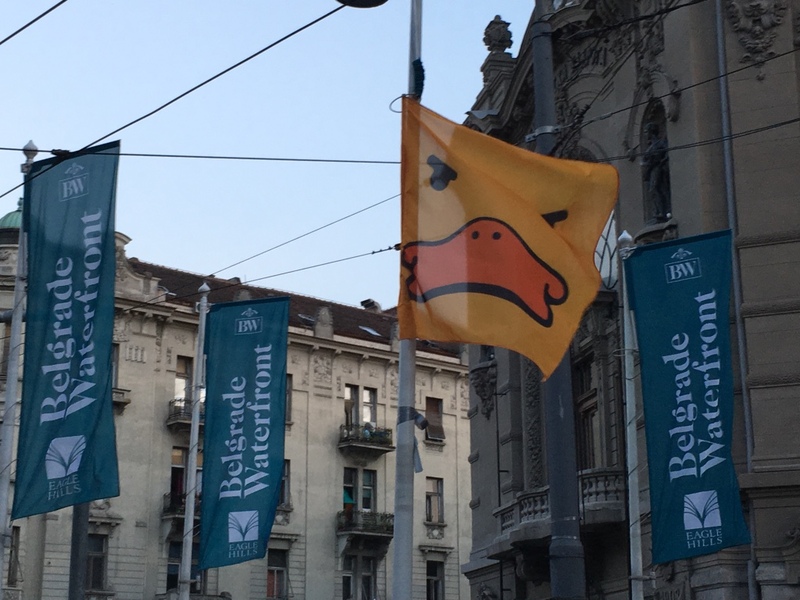 Actually, our symbol - a yellow duck - was thought off as a bait, something that would (and did) trick the media to write about our movement and our actions against the Belgrade Waterfront project, because we felt as if nothing that we say cannot break through the usual shiny-happy-future context in which this project was portrayed in all the mainstream media. And you cannot ignore a big yellow duck. On the other hand, we were concerned about the media not fulfilling their primary role which is to ask all the difficult questions and inform the public about the important issues. All the questions surrounding this project of “national significance” could have been asked by the media, if they decided to really look into it and not blindly take the role of a plain PR outlet for the main political stakeholders. Deficiency of the vital information surrounding this project was so evident, that we decided to do our own research and publish our own newspapers. So far we have two issues of Ne da(vi)mo Beograd newspaper and we are preparing a third one.